My Intertwine adventure lasted all summer long, as our network of relaxing trails coaxed me further from our city than I'd ever expected. First I cycled the Springwater Corridor, then found my way to Sellwood for breakfast, and later with my son to Oaks Bottom to toss pebbles. 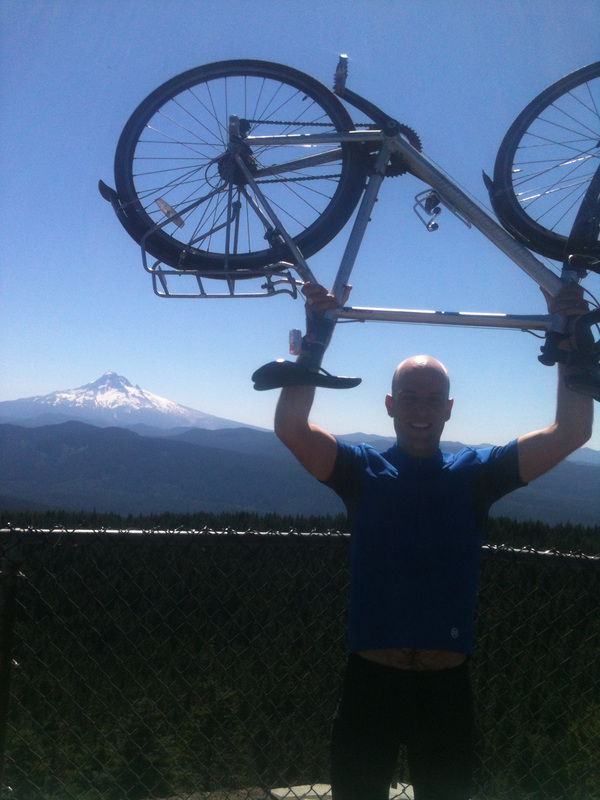 Eventually I rode out to Gresham, then Boring, then Corbett, and by July all the way to Larch Mountain. The Intertwine has so many personalities, depending on the time of year and day. On misty May mornings, I saw vast numbers of land snails slowly carousing about, then darting rabbits, and more than a few deer either raised their heads from Johnson Creek or were seen leaping away over trailside hedges. One memorable morning, I pedaled to Vista House to see the sunrise over the mighty Columbia River, getting back in time for work. As an Average Joe bike commuter in his 40s, I'd never dreamed I could safely glide out into another world on a network of trails and greenspaces. I was hooked — and got carried away on the Intertwine. By August, another facet of these greenspaces caught my attention-- blackberry bushes beckoned with ripening new fruit. At first I stopped and filled my bike's waterbottles with fresh fruit, and my family ate them for dessert with ice cream. Days later, I returned with my boy pulling a bike trailer, and we grazed and filled our mouths and every container we owned. 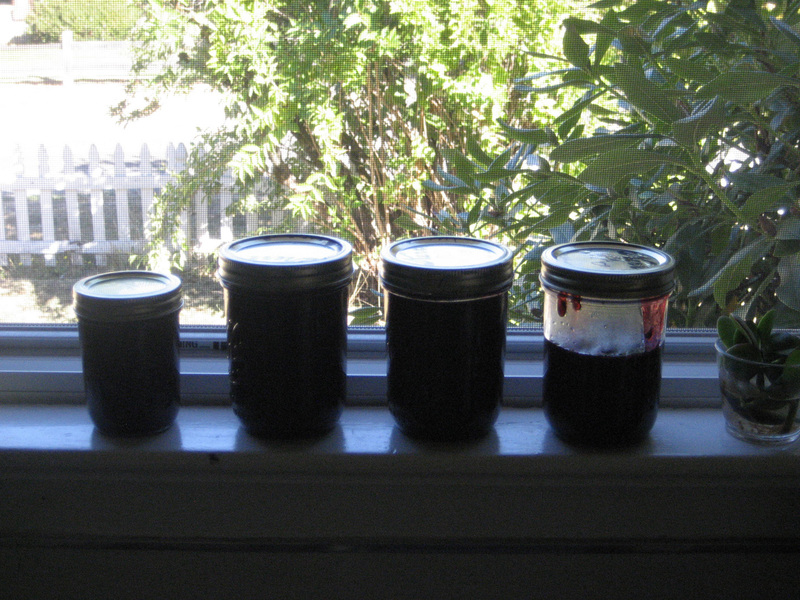 We picked quarts and made jam, pies, and pancakes. I joined berry pickers speaking several languages, some boasting of recipes for wine, others making pies, some jam, some using ingenious contraptions for eluding the berry bramble. At a minimum, we'd share a knowing smile of this great, accessible bounty. My freezer now stocked, I still couldn't refuse one last foray for fruit, and asked my four-year-old if he'd join me. “To Springwater? Okay! 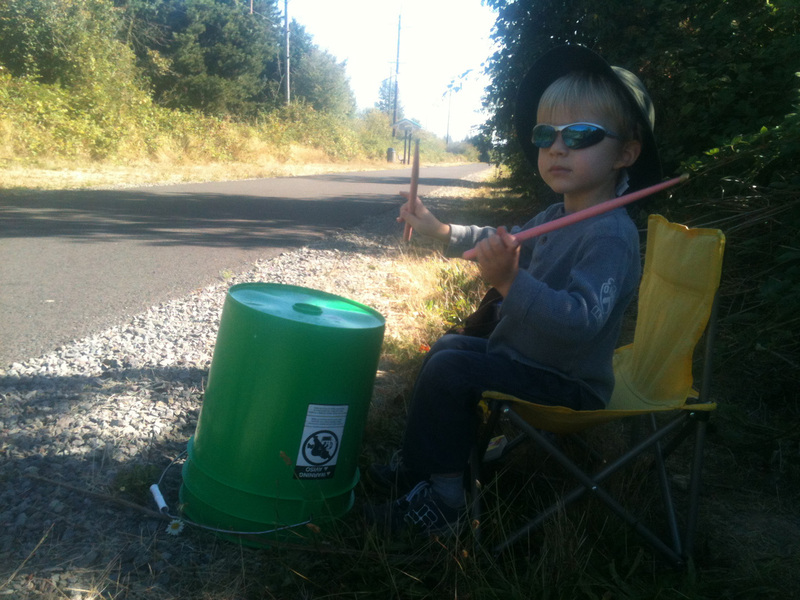 Can I bring my drum?” And so a plan was made, and we packed up our berry containers, his drumsticks, a little chair and a 5-gallon bucket. 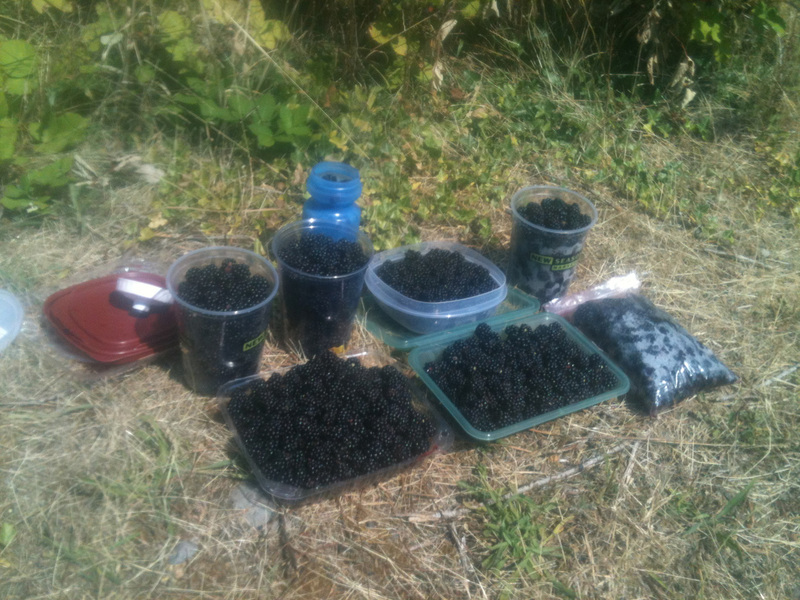 I picked berries, while my son provided music for passers-by, monotone renditions of the Beatles or Winnie the Pooh. Strangers walked or biked past, invariably smiling or telling my boy they loved his music. 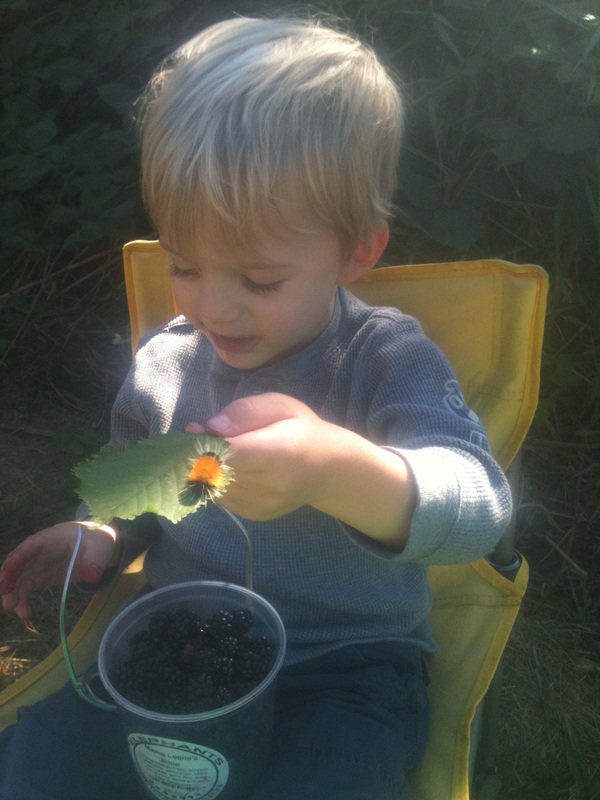 We got our fill of berries and praise and visited with a furry caterpillar before heading home, stopping along the way to reach for a few wild apples as my son stretched as high as he could from atop my shoulders. A perfect end to our summer season. These Intertwine paths connect us all: to each other as a family, to our diverse community, to the snails and deer and rabbits and caterpillars, to the changing seasons. We shift our gaze from blue screens to evergreens, from the big world to our local world. These accessible, living spaces offer unexpected gifts. All we have to do is to look and to explore.